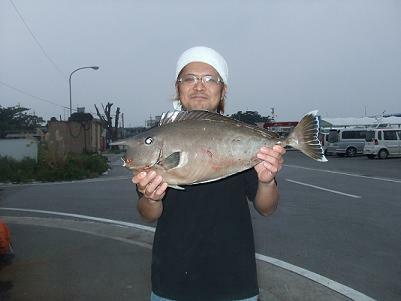 It is happy to read your blog, I would like to visit Okinawa this May, and would join IKADA TURI, but would be in Hanbi, anyway, would you please kindly introduce how to prepare the tackle(サオ　仕掛け　エサ)?? And what kind of fish we would get?? I can read Japanese, so it is OK to reply me in Japanese, thank you.